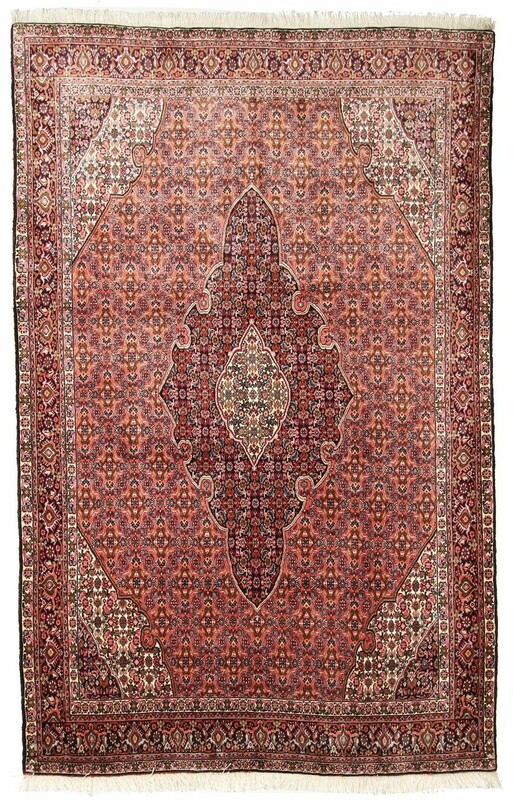 Bidjar (Bijar) rugs are robust and dirt-resistant. This small town in western Iran is inhabited by Kurds. Kurdish carpets are known for their firm knotting. The pile is compressed so strongly that it stands vertically upwards. The carpets are knotted with a traditional Turkish knot. This way, dirt particles have less chance of getting in the pile. The positive effect: the rug benefits from a longe life span. 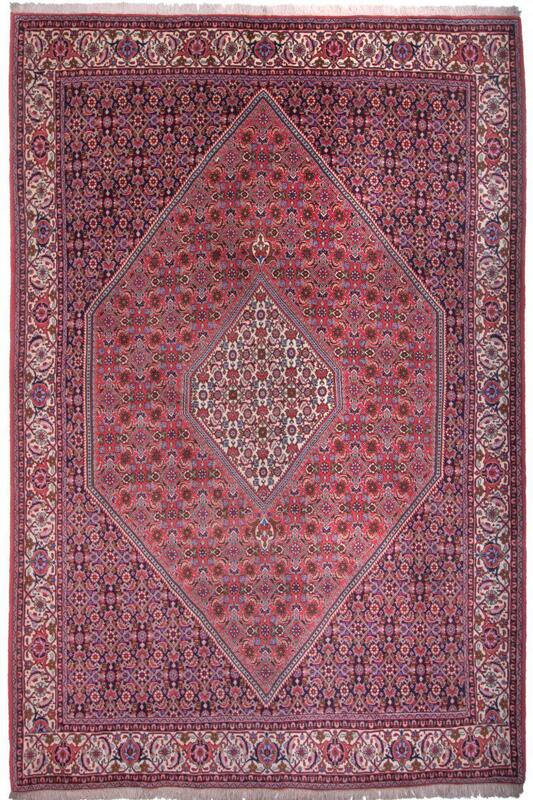 The Persian carpets from Bijar are available in almost all sizes. Their high knot density of up to 600,000 knots shows the high effort involved in production. Because their designs are often restrained and unobtrusive, they can be used in many environments. The Kurdish town looks back on a long tradition of carpet weaving. The Herati pattern is usually found in traditional production. It reminds of a flower with four leaves. It is also called a fish pattern - Persian: Mahi. But even the Herati pattern offers the knotter a wealth of design possibilities: whether interpreted in a classic or modern way - there is something for every taste. These rugs have been provided from an assortment of over 600 Bidjar rugs by Nain Trading from Hamburg. Hamburg, Germany is still the most important hub for the trade of oriental rugs in the Western World with Nain Trading offering one of the largest assortments of handmade oriental carpets worldwide. Location - where do you find the city of Bidjar (Bijar)? The city is located in Kurdistan, in the northern part of Iran.